German car-maker Volkswagen launched a new variant of its hatchback Polo in India – Cross Polo at Rs. 7.75 lakh (ex-showroom Delhi). The Cross Polo will be available in one variant only – Highline Diesel. The Cross Polo will cost approx Rs 65,000 more than the Polo TDI Highline (ex-Showroom Delhi). Under the hood, the new Cross Polo is equipped with a 1.2-litre TDI engine with a maximum power output of 75 PS@ 4200rpm and a maximum torque of 180 Nm @ 2000 rpm with a 5-speed manual gearbox. Upfront the new Cross Polo includes a new “Cross” grill with chrome accents, newer “Cross” bumpers, front & rear, with silver accents and Halogen headlamps in black finish. Also new 5-spoke alloy wheels, black side cladding and moulded covers for wheel arches and rocker panel, silver roof rails, a silver painted door mirror housing and “Cross Polo” decals on rear doors are other upgrades on the Cross Polo. On the inside, the Cross Polo is equipped with ‘Climatronic’ automatic air conditioning with dust and pollen filter, a 2-Din RCD 320 music system with USB, Aux-in, SD Card, Bluetooth and 4 speakers , a Multi-function display (MFD) and a tilt and telescopic adjustable steering wheel. “The Polo is an important carline in the Indian portfolio and with ongoing updates we keep it relevant and exciting for our customers,” Volkswagen Passenger Cars Managing Director Arvind Saxena said. 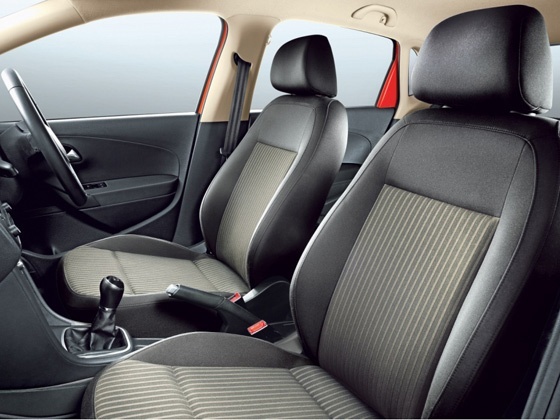 The ‘Cross Polo’ has been created for those looking at a premium hatchback in a sporty crossover style, he added. Expect a 0-100kmph in a time of 16.16 seconds with a top speed around 180kmph, same as the regular diesel Polo. Sales for the Cross Polo start from August 23, 2013.